Mike Huckabee is the host of the TV show “Huckabee” on TBN each weekend and is a Fox News contributor, NY Times best-selling author of 12 books, and a frequent speaker for corporate, civic, and non-profit groups all over the world. He was the 44th Governor of Arkansas from 1996 until 2007, becoming one of the longest serving Governors in his state’s history. He left a legacy of tax cuts, job creation, the reconstruction of his state’s road system, K-16 education reform, and a nationally heralded and duplicated health initiative that focused on prevention. 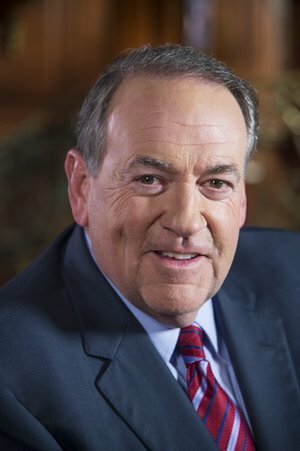 Huckabee, an avid musician since age 11, is a bass player and often joins guest artists on his weekly television show, having played with Willie Nelson, Lynyrd Skynyrd, Toby Keith, the late George Jones, and many others. He is co-owner of radio stations in Arkansas, Texas, and Missouri.